Channelling the energy of its beautiful surroundings, Chalina Estate captures the true essence of Bali with its classic architecture, lush tropical gardens and rice-field views. The villa’s serene and peaceful riverside setting makes it the ultimate choice for weddings, retreats and large family groups. Fully staffed, and with six bedrooms plus two extra rooms sleeping up to 12 more guests, a 35-metre swimming pool and lavish living areas, this exquisite villa exudes space and charm. 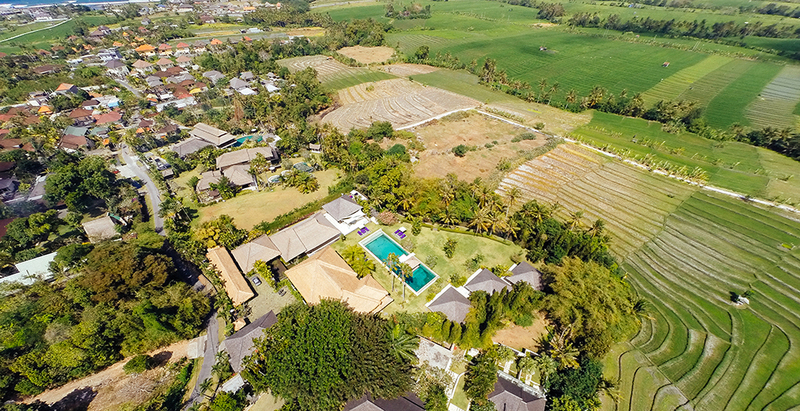 Set among Canggu’s rice fields, just minutes from some excellent surf beaches, Chalina Estate offers incredible sunsets with glimpses of the mystical Batukaru volcano in the distance.